Your gut is often referred to as the "second brain" and with good reason. There are millions of neurons housed in the gut, gut bacteria are responsible for manufacturing 95% of the serotonin, and the gut communicates directly with the brain. For this and other heath reasons of course it is beneficial to learn the importance of gut health and what positive steps you can take to restore it. 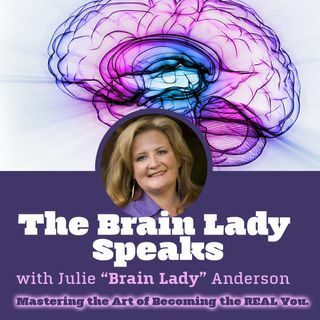 Interested in having Brain Lady Julie speak for your group or organization? Send an email to info@BrainLadySpeaker.com or visit www.BrainLadySpeaker.com to browse her topics.